Abby Kiesa, Director of Impact for CIRCLE and D.C. Vito, co-founder of The Lamp, highlight the need to combine media literacy and civic education efforts, in order to help students move beyond media consumption and into informed action. Issues of media literacy rose to prominence during and after the 2016 presidential election, a context that illustrated the critical connection between media literacy and civic engagement efforts. While the two fields are often considered separately, their union enables a move beyond media and information consumption, into action. Unifying media literacy and civic engagement reinforces the reality that civic media and information about public issues exists for a purpose: expression, discussion, and informed action. Furthermore, centering the voices of youth at this intersection positions young people as civic actors, while centering media literacy as a critical civic skill. Young people deserve to be treated as agents of change in our communities — and our democracy needs them. What does it mean for information and media about public issues to be engaged with and part of civic engagement? We propose that a healthy civic relationship to information and media about public issues must reach beyond passive consumption in order to facilitate healthy engagement. Civic opportunity — clear and concrete opportunities to think about, discuss, and act on information, and confidence in that information and one’s ability to do something with it are critical to facilitate action. To make this connection, one question is key: How does information about public issues influence opinion and help decide what actions are available and strategic? In order for media literacy to maximize its civic potential, those of us working with youth and supporting media literacy must situate these skills in conversation with available civic actions. Making these direct connections in our frameworks and programming deepens the civic potential of media literacy. More directly supporting youth voice is also key to catalyzing the civic potential of media literacy. Media holds promise in helping youth negotiate how to engage in civic life. In their analysis of post-2016 election engagement online, Literat & Kligler-Vilenchik find that “youth use online creativity to (re)claim agency towards the political process, provide peers with social support or distraction, and (re)imagine the political.” Democracy needs all young people to see themselves as participants and for leaders and practitioners to ensure they have received messages supporting and welcoming their participation. While regular news attention correlates with engagement, civic habits like news attention are generally built through exposure to those with existing habits and cultures of engagement. Therefore, attention may not become a habit if youth aren’t already exposed to or engaged in these cultures, or don’t see information about issues they care about in media. Lessons about media can help build habits only if they also build a path to engagement. How can we meaningfully engage youth? Putting youth at the center of media literacy building efforts creates a clear pathway from learning to engagement (and vice versa). How educators frame media for students can help influence how young people view themselves as a part of democracy. Furthermore, establishing a space to express their voices on issues that matter to them helps young people form an active and collaborative role in civic engagement. Other areas of education already utilize a youth-centered approach: the research-based Students at the Center framework shows that student “ownership” contributes to deeper learning. Kahne, Chi & Middaugh show that relevance to young people’s lives is helpful for achieving specifically civic outcomes. In this case, relevance meant a local focus and the opportunity to research and work on an issue the youth identified. Interactivity can also be critical to active civic outcomes for youth, and active pedagogies are particularly helpful for building youth efficacy. This active approach to youth media literacy may be of particular importance when youth don’t trust media or don’t think it represents them. Using more active pedagogies can support a more inclusive learning space. 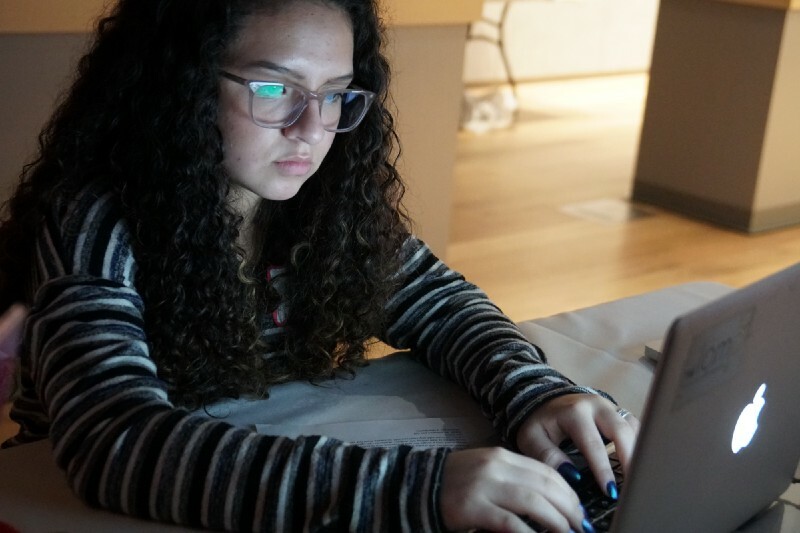 At a recent event hosted by 22×20, a student visits the “Annotate the SOTU” station, and inserts her thoughts directly into the State of the Union speech an open Google doc — along with teens across the country. The Mikva Challenge strategy for building news literacy into its curriculum goes beyond media analysis skills by incorporating situations where youth can use media. This may include researching how an issue is covered by the media, developing media to create issue awareness, and interacting with media to promote coverage, etc. The process of researching and using media teaches important information about media production, as well as other skills useful for engagement. Recently, The LAMP promoted media engagement for use of their MediaBreaker video tool in analyzing and remixing media coverage of the 2018 State of the Union speech. 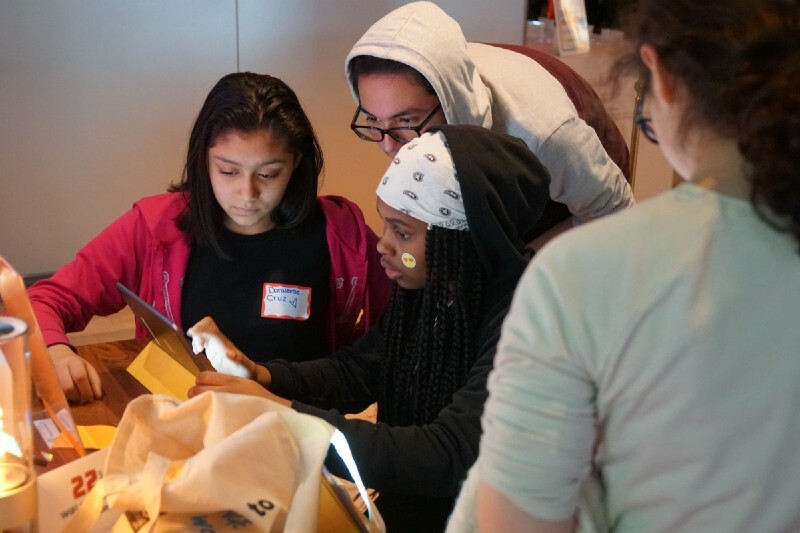 Youth-centered and participatory approaches to media literacy put students on a path to using the skills for civic purposes as a part of informed action. In order to connect media attention with engagement, educators must move from a model of youth as passive consumers of media, to youth as civic actors who engage with, use, and create all forms of media. This will more fully maximize the civic potential of media literacy as a core skill and tool that youth embrace in interpreting, understanding, and engaging public issues as they integrate into civic life for a lifetime. Abby Kiesa is Director of Impact at CIRCLE, serving as liaison to practitioner organizations across the country, and as CIRCLE’s lead on elections. D.C. Vito co-founded The LAMP (Learning About Multimedia Project) in 2007. Since that time, The LAMP has brought media literacy training to over 3,000 youth, parents and educators, transporting equipment and facilitators directly to communities in need of its services. This piece is a commentary on the PACE paper: “Infogagement: Citizenship and Democracy in the Age of Connection.” Please see the publication for more commentaries and the original paper — and follow #Infogagement to continue the conversation.